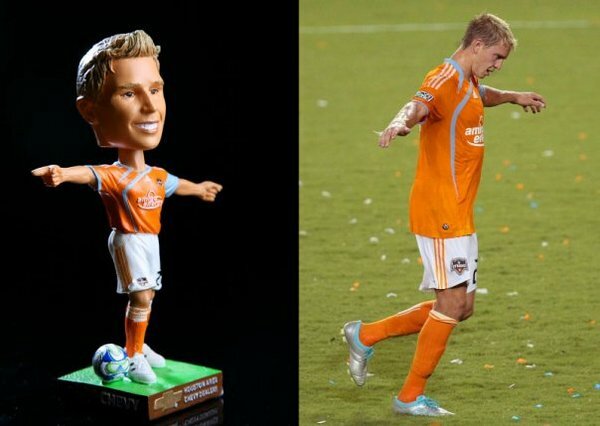 Since yesterday's post dealt with a former Houston Dynamo player who was a member of the squads that won the 2006 and 2007 MLS Cups, a video, shown below, that I came across made me decide to do a post about another member of those Dynamo championship teams: Stuart Holden. Holden, who grew up in Sugar Land, Texas, a suburb of Houston, joined the Dynamo in 2006 and made his MLS debut in a 1-1 draw at New England Revolution on May 27th. Over the course of the season, Holden managed to see action in 13 matches. When the 2006 MLS Cup final against New England Revolution came down to penalty kicks, Holden converted the Dynamo's second penalty kick. Houston won that match on penalty kicks. In 2007, Holden saw increased playing time, primarily as a result of an injury suffered by Brad Davis. Over the course of 17 matches, Holden picked up 3 goals and 5 assists for the Dynamo. Although Holden did not start in the 2007 MLS Cup final, he was substituted on in the 80th minute. 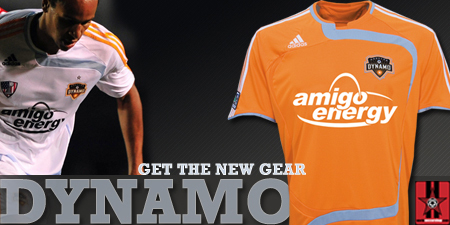 In the end, the Dynamo beat New England Revolution, 2-1. When Dwayne De Rosario departed the Dynamo after the 2008 season, the team looked to Holden to step into the midfield hole that resulted in the Dynamo lineup as a result of De Rosario's departure. Although the Dynamo did not make it back to the MLS Cup Final during the remainder of Holden's tenure, his time and development in Houston landed him a spot on the US National Team in the summer of 2009 and with the Bolton, of the English Premier League, in early 2010. Currently, Holden is still recovering from an injury sustained in early 2011.